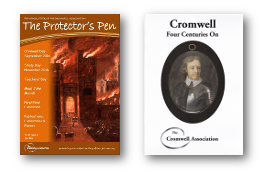 The Cromwell Association over many years acquired by gift and bequest a small library of about 500 volumes that relate to Cromwell and the Protectorate in one way or another. As the Association has never had premises of its own the library was difficult for members to use or browse in any meaningful way. The opportunity to develop this collection was taken when the offer of depositing it in the new Cromwell Collection at Huntingdon was received. The new Collection, created with funding support from the Wolfson British History Fund, enabled Cambridgeshire Libraries Service to work jointly with the Cromwell Museum and the County Record Office in Huntingdon, to build up its collection of books and printed materials and make them more widely available. The Cromwell Collection is open for all to use and is located in Huntingdon Library and Archives, a short walk from the Cromwell Museum. The Collection will grow over time as new material is purchased, but there are many gaps that it would like to fill. 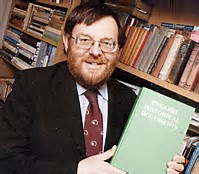 If you have a collection of books that you think might be of interest, and that you are prepared to offer to the Collection please contact in the first instance Huntingdon Archives with full details of what you may be prepared to offer.